Penn State junior defensive end Yetur Gross-Matos says he now weighs in at 268 pounds, up nearly a dozen from his sophomore campaign. Standing next to him following practice on Wednesday evening, it appears that increase can be found entirely in his massive biceps. 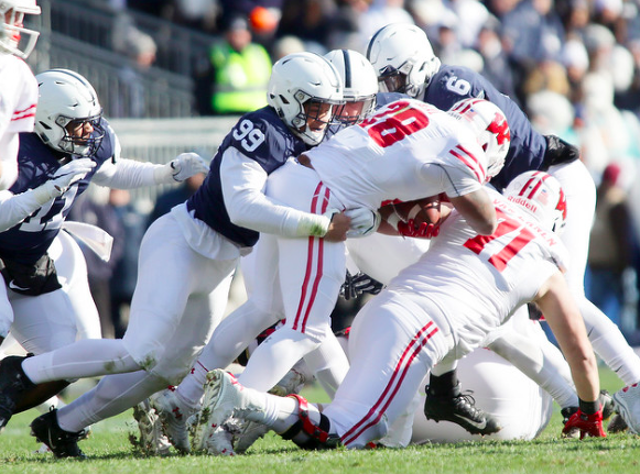 Gross-Matos was a force in 2018, leading Penn State's already stout defensive front with 54 tackles (36 of them solo) as well as 20 tackles-for-a-loss and eight sacks. More often than not if he had time, he was getting into the backfield. “Each year, the game has slowed down for him because he understands pre-snap reads now,” defensive line coach Sean Spencer said following practice. “He understands leverage. He understands set points of offensive linemen. He’s going to keep growing each day, each game. That’s why I think he’s going to shoot up to the next step. The question now is how do you make a great player even better? The answer is found in the details, and the work put in off the field. Gross-Matos watches film on his own now, a skill he says took a year to hone. For as physically gifted as the Virginia native already is, both he and Spencer see his next steps coming in the mental arena. Slowing the game down more and more, seeing things before they happen and reacting to them. "Coach Spencer taught me how to watch film. His office is always open," Gross-Matos said. "I would just go in there and he would put it up on his computer and we would just dissect it piece by piece. I learned how to take notes and now I just do it on my own." The challenge now in 2019 will be doing it with more and more of the opposing offensive line focus on him, Shareef Miller's departure for the NFL putting more of a spotlight on Gross-Matos. He will have the help of Robert Windsor and a cast of defensive tackles inside while Jayson Oweh, Shaka Toney, and Shane Simmons, among others, work at the other end spot. But Penn State's defensive line will go as its star does, then again, Gross-Matos has yet to come up short of expectations. 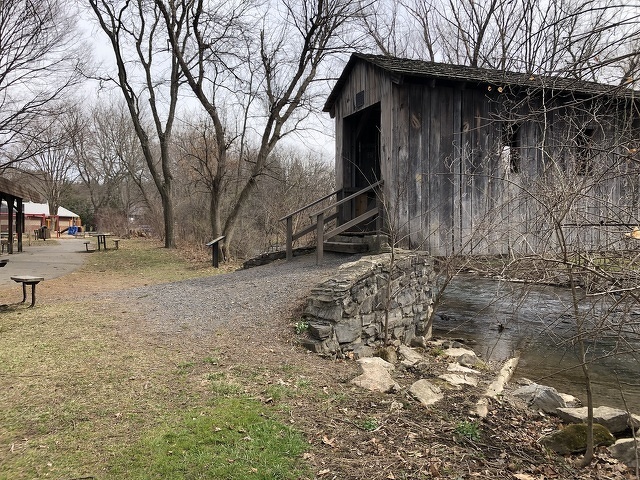 The Centre County Commissioners agreed to support four separate projects in local parks and green spaces as the project coordinators asked for grant funding at the board meeting last week.